Bournemouth welcome Huddersfield to the Vitality Stadium ​in the Premier League this Tuesday, with both teams looking to get back to winning ways. The Cherries are coming off the back of a 3-1 humbling at the hands of champions Manchester City, while Huddersfield suffered a disappointing 2-1 defeat to Brighton. Jefferson Lerma will be back for Bournemouth after serving his one-match suspension against Manchester City, and will no doubt be back at the heart of the midfield. DW: “Steve Mounié is a doubt and Chris Löwe won’t be in the squad even though he was in training yesterday; there is a slight chance he could be back on Saturday. Huddersfield will be without the suspended striker Steve Mounie following the red card he picked up against Brighton last weekend, Laurent Depoitre is expected to lead the line for the away side. Chris Lowe has also been ruled out due to an jury. The Terriers, historically have the edge in this encounter, winning 19 of the 51 meetings between the two sides. Bournemouth have really struggled against Huddersfield in recent years, winning just two of their last 12. Both of last season's meeting finished with the home side coming out on top. 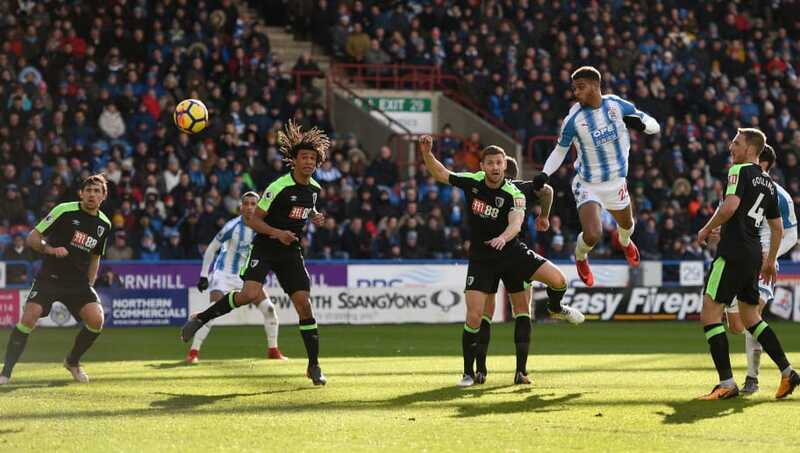 For Bournemouth, Callum Wilson played a big part scoring a hat-trick; while the Terriers had four separate players on the score sheet in their home win. The Cherries' form has slumped in recent weeks following a lightning quick start to the season. Eddie Howe's side remain winless in their last four, and will definitely be looking to change their fortunes when they face Huddersfield. Before their most recent defeat to Brighton, Huddersfield had put an impressive run of form together, earning seven points from a possible nine, including wins against Wolves and Fulham. Before this improvement in form the Terriers were bottom, now they sit one point above the drop zone in 17th. ​Bournemouth have endured a number of difficult fixtures in recent weeks, but they should go into this midweek fixture brimming with confidence. With Callum Wilson on fine form at the start of the season, it's hard to imagine the Terriers keeping Bournemouth at bay at the Vitality Stadium.